Employment Discrimination Lawyer | Prior to running employment background checks, employers must follow strict rules, or risk liability for noncompliance. Agencies contracted by employers to provide information on an applicant or employee also have legal duties when collecting, keeping, and providing background information. The access to (and use of) a person’s background information is subject to federal and state laws. Employers must secure the applicant’s written permission prior to obtaining a background check for employment purposes. In most cases, employers may access and use information only if it is relevant to the job, and although they may use the information to make a hiring decision, they may not illegally discriminate based on the information obtained. The main federal law that applies when conducting employment background checks is the Fair Credit Reporting Act (FCRA), which regulates all access and use of background information for employment purposes, not just credit information. In addition, Florida state law limits the use of arrest and conviction records by employers for making employment decisions. Other federal and state laws apply to prohibit discriminatory employment practices, as addressed ahead. When an employer contracts a third-party provider to conduct background checks, these reports become “consumer reports” under FCRA. A “consumer report” may include financial and credit history information, as well as criminal background reports, motor vehicle records, educational, employment background, and licenses. Under FCRA, this information can only be used for employment purposes where: (1) the employer provides a “clear and conspicuous” written disclosure to the consumer stating that it will request a copy of the consumer report for employment purposes; (2) the disclosure is made in a “document that consists solely of the disclosure;” and (3) the consumer authorizes the employer to procure the consumer report in writing. The strict FCRA requirements have triggered increased class action litigation, in which courts have recently held defendants liable for amounts exceeding $5 million. A decision against Publix Supermarkets in 2014 awarded $6.8 million to 90,633 class members. The clear message: The disclosure must be a stand-alone document and not a provision embedded in a document containing other information, such as the employment application. Consumer authorization must be secured in writing prior to procuring the background information. The employer’s responsibilities extend post-background check. Subject to some exceptions (e.g., national security), if an employer uses the background information to make an adverse decision (e.g., denying employment), it must provide notice to the consumer along with documentation, such as a copy of the credit report used to make this decision and a statement of consumer rights under the law. Also, time limitations apply to the information included by consumer reports providers. For example, consumer reports may not include bankruptcy records that are more than ten years old. Special requirements also apply to criminal background checks, as well as to the handling of information to protect the privacy of individuals and lower the risk of fraud and identity theft. Access to medical records is limited by The Americans with Disabilities Act (ADA). Employers may inquire solely about the applicant’s ability to perform specific job duties. Otherwise, they may not request applicant or employee medical records. Likewise, workers’ compensation records may only be available if the applicant’s injury might interfere with his or her ability to perform job duties. In Florida, an employer may not use HIV/AIDS as a basis for employment decisions (unless there is a legitimate occupational qualification). Florida law prohibits mandatory sickle-cell trait testing as a requirement for employment, and it also bans employment discrimination on the basis of a person having sickle-cell trait. The military may disclose name, rank, salary, duty assignments, awards, and duty status without an applicant’s consent. However, military records are released only under limited circumstances, and prior consent is typically required. 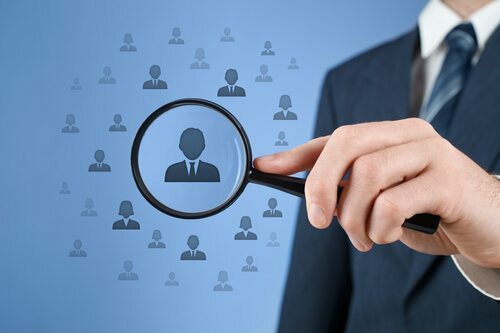 While conducting improper background checks may lead to employer liability, Florida law provides an incentive for employers to conduct background checks. In the case of an intentional tort committed by one employee against another, the employer is presumed not to have been negligent in hiring an employee if the employer conducted a background investigation (including a criminal background check) of the prospective employee, and it did not reveal that the individual was not unsuitable for the job or for general employment. FCRA provides for a recovery including costs, attorney’s fees, and punitive damages. The willfulness requirement for punitive damages can be triggered by “reckless disregard” of the FCRA’s requirements, even when no injury exists. The statute of limitations to file a claim under FCRA is the earlier of two years after the date of discovery of liability, or five years after the violation occurred.